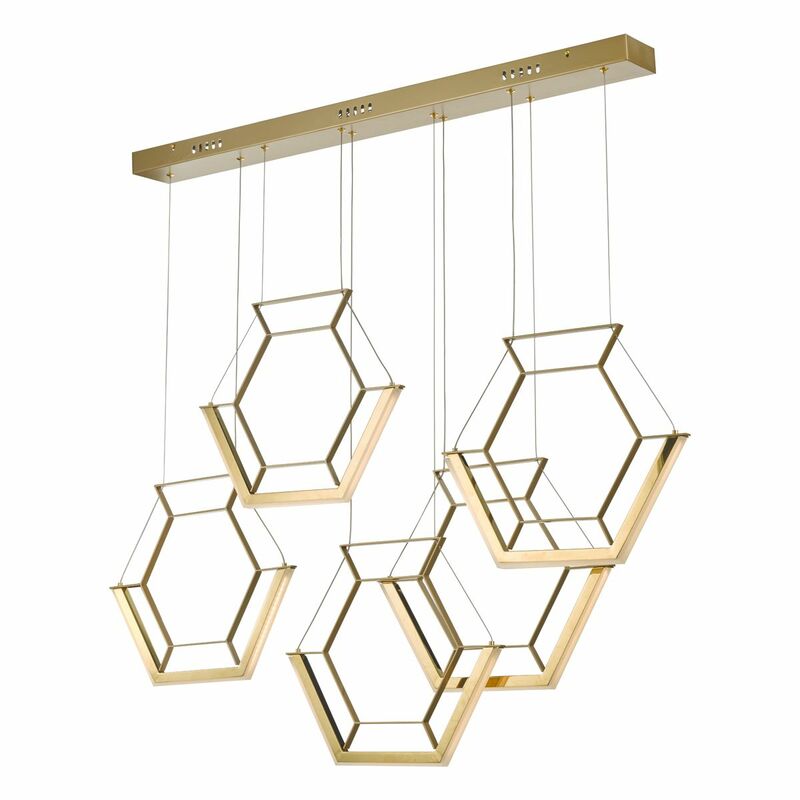 The BXHEX0535-17 is a Pendant in a Satin Gold finish. Dimensions for this product are as follows: depth = 10cm, Minimum Height = 50cm, Maximum Height = 110cm, width = 120cm. The BXHEX0535-17 uses 1 x LED bulbs which are included as they are Integrated in to the product. It is an F-rated product which means it is suitable to be installed on flammable surfaces and is class 2 - Double Insulated which means it doesn't require an earth connection. It has an IP-rating of IP20.